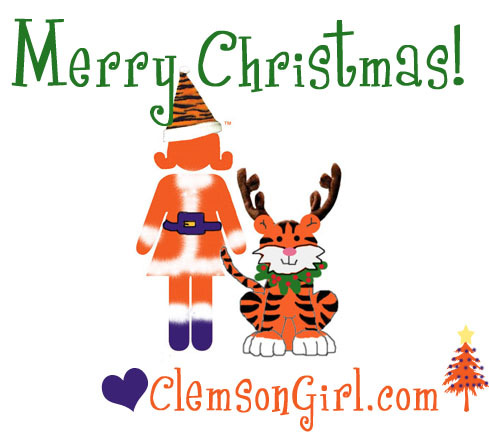 Clemson Girl: Merry Christmas Clemson Girls! Merry Christmas from our family to yours! We are taking a break for the remainder of the week to enjoy the holidays, but will be back in time to talk about the upcoming bowl game! Go Tigers! !